One of the benefits you receive from having me as your agent is that I also own a travel company that specializes in cruises! 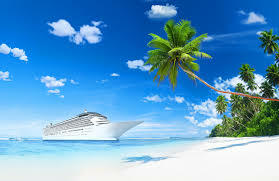 My staff will be happy to assist you find a great deal on a cruise! Here is a way to be notified early of upcoming specials and deals. Here is a great search engine to help you get in on deals early! Please check out the below site, go to the far right tab and sign up to be an Avoya member. Only Avoya Members have access to unpublished fares, exclusive offers, no Avoya fees, and more every time they log in and shop!